crushed jalapenos; Habanero fudge, with Haba-nero chile peppers; and red chile fudge, from Chimayo chile. Each variety sells for $6.99 a pound. 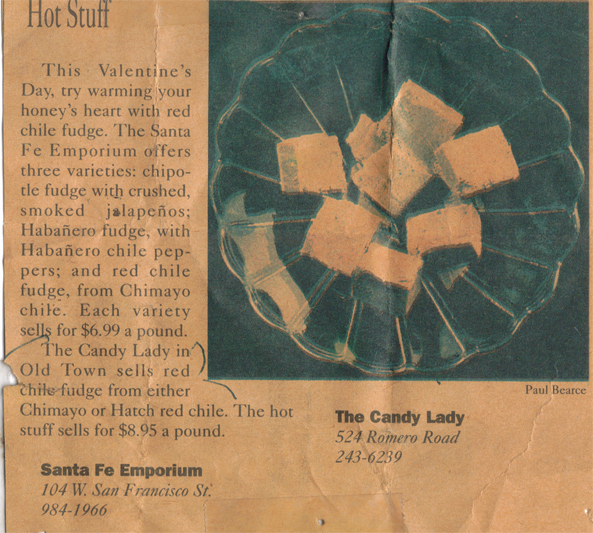 The Candy Lady in Old Town sells red chile fudge from either Chimayo or Hatch red chile. The hot stuff sells for $8.95 a pound. 104 W. San Franciso St.